There's every reason to dread the Hollywood sequel. No matter the genre - gory slasher or kids' cartoon - it's usually cranked out with little forethought and even less love, and with one aim in mind: Establish a lucrative franchise. 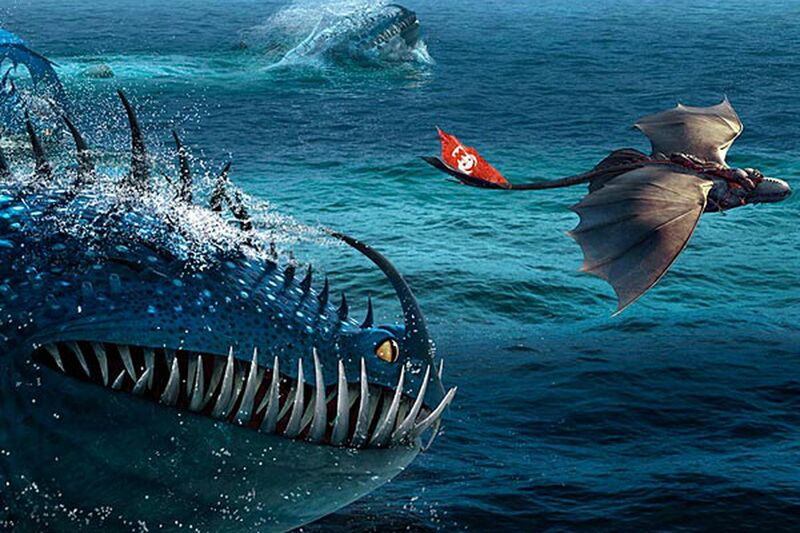 DreamWorks Animation's How to Train Your Dragon 2 is a delightful exception. One of this year's true surprises, the superior animated sequel not only is infused with the same independent spirit and off-kilter aesthetic that enriched the original, it also deepens the first film's major themes. Touching on topics from environmentalism to conflict resolution and the concept of the just war, this take on the Cressida Cowell book series will engage adults as deeply as it does their kids. A darker yarn aimed at a slightly more mature audience, Quebecois director Dean DeBlois' film opens five years after the first story concluded. Once the scourge of humanity, dragons have become domesticated and play big roles in the Viking town of Berk. That's largely thanks to the first film's child hero, Hiccup (Jay Baruchel), a rebellious free-thinker who helped his people move past their prejudices and superstitions to realize that dragons are every bit as rational, intelligent, self-aware, and loving as people. Now a young man, Hiccup has been named the community's next leader by his dad, Stoick the Vast (Gerard Butler), while his friendship with Astrid (America Ferrera) has matured into a romance. But he's still a restless soul and would rather spend his time flying his dragon, the Night Fury Toothless, to find new lands in the endless seas that surround his home. Hiccup makes two discoveries. He finds a secret forest where hundreds of dragons live peacefully under the watchful gaze of their protector and servant, Hiccup's long-lost mom, Valka (Cate Blanchett). The young man also runs into Drago (Djimon Hounsou), a cruel warlord who has amassed an army of fierce dragons, using torture, fear, and pain to make them do his will. Drago's dream: to subjugate all the world's dragons and the men and women who love them. Written with true insight and sensitivity, the film uses its three main characters to illustrate three different ways people have treated nature. Are humans supposed to dominate and rule over nature, the film asks, as Drago does? Or like Hiccup and his dad, are we supposed to use our rational powers to understand nature and harness it for the common good? Or, as the radical environmentalist Valka teaches, are we merely a small, insignificant part of nature enjoined with the duty to protect it and serve its needs regardless of our own wants? The film even has something to say about the nature of war: When is it just to fight and kill? Hiccup, ever the optimist, thinks Drago will give up his warring ways if he learns more about the nature of dragons. He tries to talk sense to the madman. His dad knows different: One cannot reason with a tyrant. (You know, a Hitler. Maybe even a Saddam.) Drago's aggressive expansionism can be met with but one response: war. Even though the village of Berk and her people see themselves as proponents of peace, they mobilize against Drago. How to Train Your Dragon 2 is great, great fun. Children will dig the new storyline, the scary new characters, and the beautiful resolution. Grownups will find themselves challenged by salient questions about our place in the world. Directed by Dean DeBlois. Voices by Jay Baruchel, America Ferrera, Cate Blanchett, Gerard Butler, Djimon Hounsou. Distributed by Twentieth Century Fox. Running time: 1 hour, 42 mins. Parent's guide: PG (adventure action and some mild rude humor).